Demenzia is a melodic death metal band that was formed in Sofia, Bulgaria in 2003 by the members of the black metal band Shadowland (Vladimir Bochev, Velizar Gordeev and Zlatomir Zlatkov). After some initial line-up changes the band started playing a lot of festival and club shows around Sofia city and released their first demo CD “a.d. 542″. 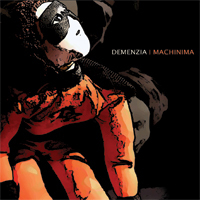 In 2005 another demo called “Demenzia” followed and the band was already establishing themselves in the Bulgarian metal scene. In November 2006 the band released their debut album “Different Seasons” with their new label IMSB. The album was released only in Bulgaria, where it received serious attention from the fans. The band supported the release with a lot of club shows and in 2007 the band was invited and appeared on two big international festivals. They were the Metal Healing Festival in Greece (where they shared the scene with world-famous bands like Rage, Septic Flesh, The Haunted and Destruction) and Metal Heads Mission Festival in Ukraine (whose headliners were other big names in metal music worldwide – Deicide, Vader, Suffocation, Immolation, Benediction). The new album “Machinima” will be released in 2013 by Zero Project Studio.